Welcome to the Three Valley Nanny blog with SnowBugs Private Child Care & Nanny Service: Say hello to Daphnée our SnowBugs Nanny! Say hello to Daphnée our SnowBugs Nanny! 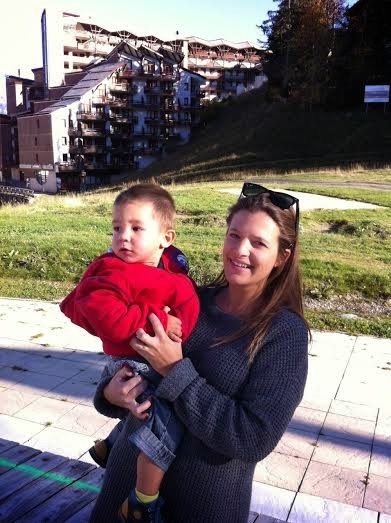 We are excited to welcome our first French Nanny, Daphnée, to the SnowBugs team this winter. You will find her in the Courchevel and Meribel Valleys caring for little SnowBugs, or in La Tania where she lives with her partner Tristan. I met Daphnée first on a personal level and thought she was fantastic, so when she applied to work with SnowBugs Nannies I didn’t need to think twice! I would describe her as a caring, fun and patient person with great experience of Nannying both professionally and personally. And of course no-one could know the mountains of the French Alps better than someone who has spent the last 10 years living there! I was born in Lille in Northern France but moved to a little village in the Alps near Annecy ten years ago with my family. I love the mountain lifestyle, the fresh air, being surrounded by nature and all the outdoor activities especially the skiing and snowboarding in winter. I have always loved looking after children from 16 years old when I would do a lot of babysitting on weekends and holidays. I have been a Nanny for children aged from 2 months to 10 years old. I lived in Australia for a year and worked as an Au Pair there for three months. I became fluent in English but more importantly spent my time looking after Harry (7 years) Max (5 years) and little Chloe (2 years). We had a great time playing in the park, in the pool, painting and colouring and cooking. I have a passion for travel and other cultures visiting Thailand, Canada, the Caribbean and Indonesia in the last few years, although I always miss my family when I am away. I always try to go back in the North of France to see the rest of my family at least once a year. I love animals having grown up around cats and dogs and am trying to convince my boyfriend to get at least 2 of each! Daphnées’ loves include going snowboarding in the Three Valleys of the Alps, hiking up the mountain, cooking, travelling and of course animals. Fingers crossed Tristan agrees to all the pets! 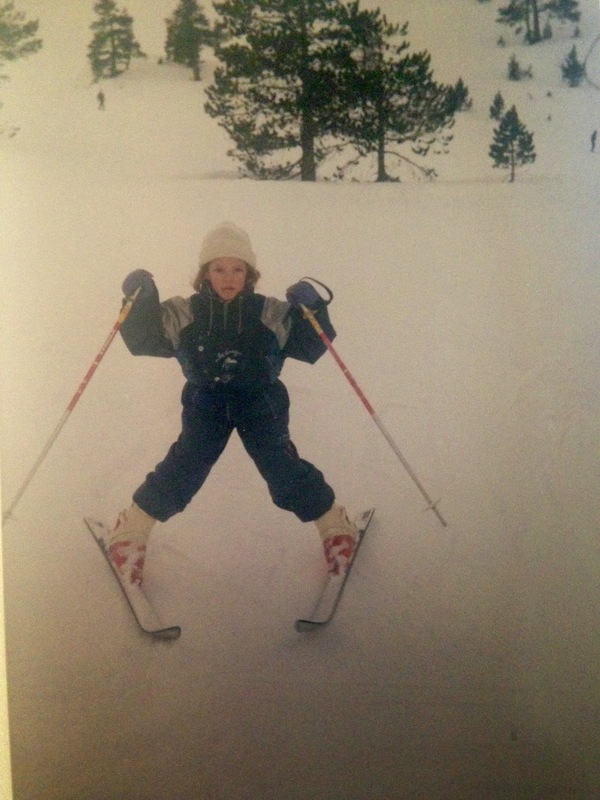 Daphnée skiing when she was a little one! Some of the lovely things previous families have told us about Daphnée include her being of such a very kind and sweet nature, honest and peace-loving and importantly dependable and reliable. Everything you would hope for in your Nanny this winter. For ideas on other things you should think about when booking a child care take a look at our 10 Questions to ask before booking a nanny this winter blog post. 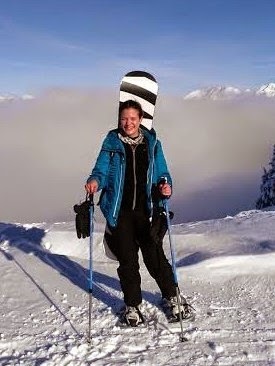 We’re really happy to have her on the SnowBugs Nanny team and wish Daphnée a fantastic season in Courchevel and Meribel doing what she loves most in the snow. Are you interested in booking Daphnée to join your family on your winter holiday? Just complete our enquiry form here and I will be in touch! You can also take a look at all of our Nannies here on the SnowBugs website. See you very soon in the snow everyone!